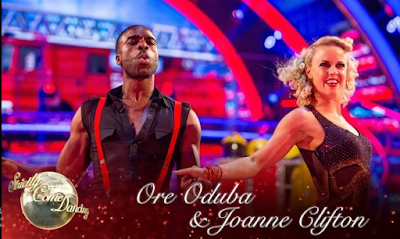 Strictly come dancing 2016 winner Ore Oduba's parents were not happy with him and his wife Portia when they heard he was going to be on the show.You might wonder why they would take such news downheartedly.But it is a very common reason.Grandchildren. When Ore revealed to them he had some fantastic news for them,they thought he and his wife were coming over with news of them expecting a child.Hahahahaha,don't you just love parents,they all have the same one track mind in situations like this. His mother Fola, was seen at the finals cheering her son on to victory. Oduba's ancestry.Thanks to his success as a powerful lawyer,he was able to send his son to some of the best schools in the UK.He was educated privately, at prep schools Dumpton and Canford. He also spent most of his childhood jetting back and forth between the UK and Nigeria. Mother cheering her son on to victory. He met Portia while they were at Loughborough University,where he studied Sports Science and Social Science.They dated for 3 years before he proposed to her in the old fashioned way.Going down on one knee in front of her parents in Kent.You can guess what her answer was.He's a bit of a soppy romantic as he revealed in an interview:'On my wedding day I cried from 11 in the morning until 2am that night. 'There's a picture of me wailing, my best men there laughing and Portia absolutely cracking up next to me – I am the only one crying.' They got married in November 2015. 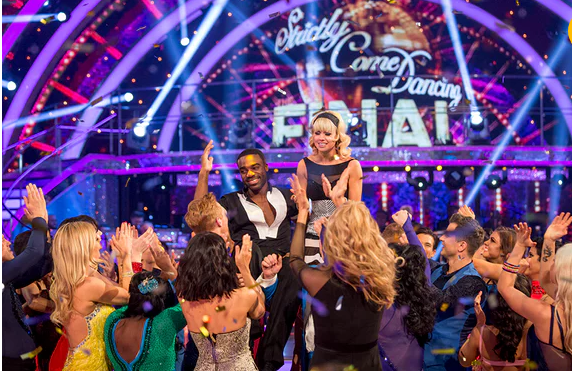 The strictly winner seems to have a penchant for coming first.He was the youngest presenter ever on the popular BBCNewsround at the age of 23. He has since gone from strength to strength hosting Match of the Day: Kickabout as well as presenting as part of the Commonwealth Games in Glasgow. But mum and dad may not be unhappy for too long as he revealed they are hoping to start a family pretty soon.‘We are looking forward to having a family but we haven’t necessarily been in one place or one time together. Here are some biography facts about our latest star.He was born on November 17 1986 in England making him a Scorpio..He grew up in London and Canford Magna (Dorset), England. A bit of info about his siblings.He has two sisters and a brother and they grew up in Dorset.